The popularity of eSports is growing at an incredible rate. Competitive games such as League of Legends, Dota 2 and Counter-Strike: Global Offensive are regularly the most played games on the PC platform, and those who are good enough can win prizes reaching into the millions of dollars by playing them professionally. This has meant more publishers are looking to jump on the eSports bandwagon; the latest being EA, which has just announced a new competitive gaming division. The new section will be led by Peter Moore, EA’s chief operating officer since 2011, who will become the company’s executive vice president and chief competition officer. Moore will keep his current position until the end of the fiscal year. Moore will be joined by company veteran Todd Sitrin, who will serve as the senior vice president and general manager of the competitive gaming division. Sitrin will work with EA's internal studios to "create an exciting competitive platform in our games," said CEO Andrew Wilson. "We’re already very engaged with our development teams around the world to make sure our games have got modes that lend themselves very well to competitive gaming, built-in from the get-go. Not as something that’s put in as an add-on mode or a last-minute afterthought,” Moore told IGN. The move will likely see franchises from EA’s stable - such as Madden, Battlefield, and FIFA - become more visible on the eSports scene. Expect to see a number of live events featuring EA games, as well as new competitive features and options appearing in the company’s upcoming titles. 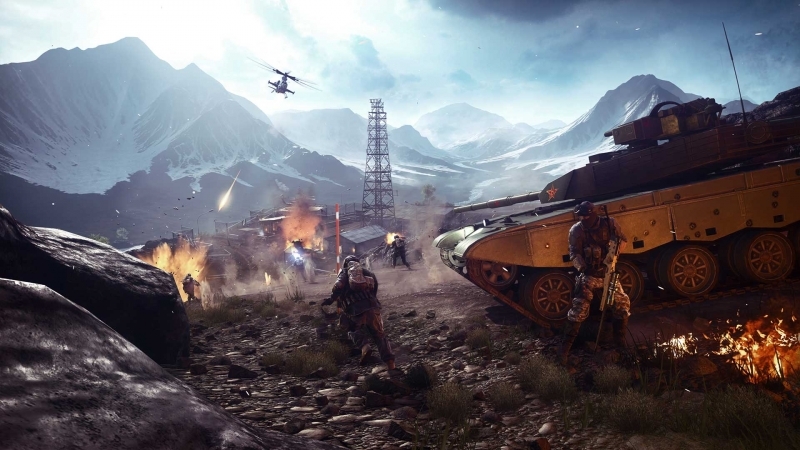 Moore added that the creation of the new division might result in some of the less popular elements from certain EA games being removed in favor of something competitive that will keep players’ interests for longer. "There are things you don’t need anymore that are going to be replaced by eSports modes. And I’m not saying you’re cutting things out of the game. But our dev teams look at engagement every step of the way, and there are things that just don’t get played […] The data doesn’t lie. So you eliminate that, and you put whatever resources were against that, and put them toward something people are going to engage with,” Moore said. EA is following in the footsteps of Call of Duty and World of Warcraft publishers Activision Blizzard, which formed its own eSports division headed by former ESPN and NFL Network CEO Steve Bornstein back in October. Expect to hear more details about EA’s competitive games division over the coming months. Does the move mean that the next Mass Effect and Dragon Age games will include competitive modes designed to become eSports? Unlikely, but here’s hoping.